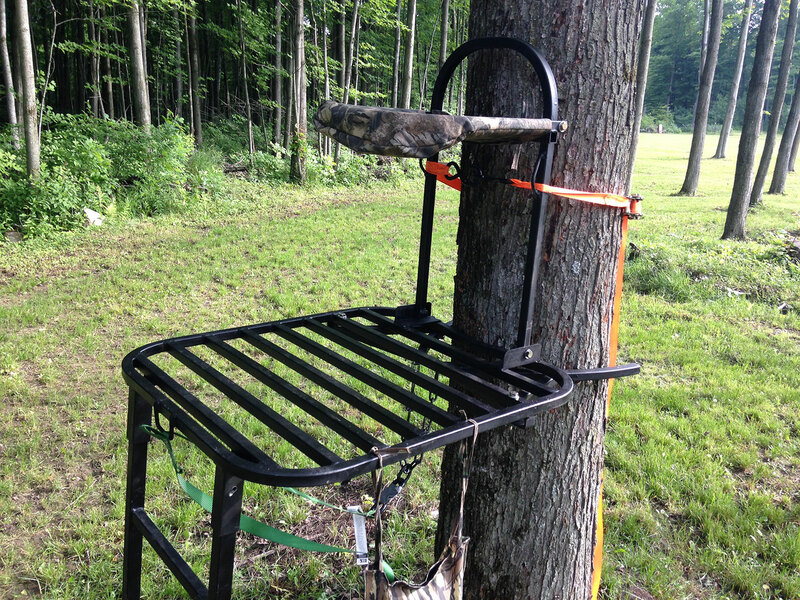 I want to introduce to you a Ladder Stand that I invented and patented. 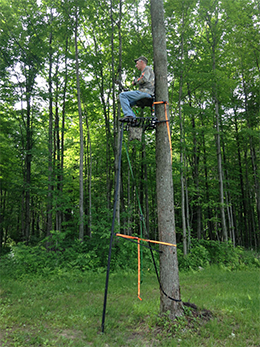 One of the safest, sturdiest and compact one-man set up from the ground on the market today. 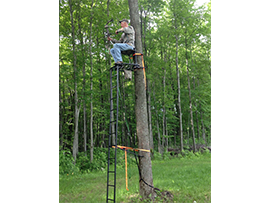 If you're worried about your safety putting up your stand, then the crab claw Ladder Stand is the one for you. You can set it up easier than a hang on stand. 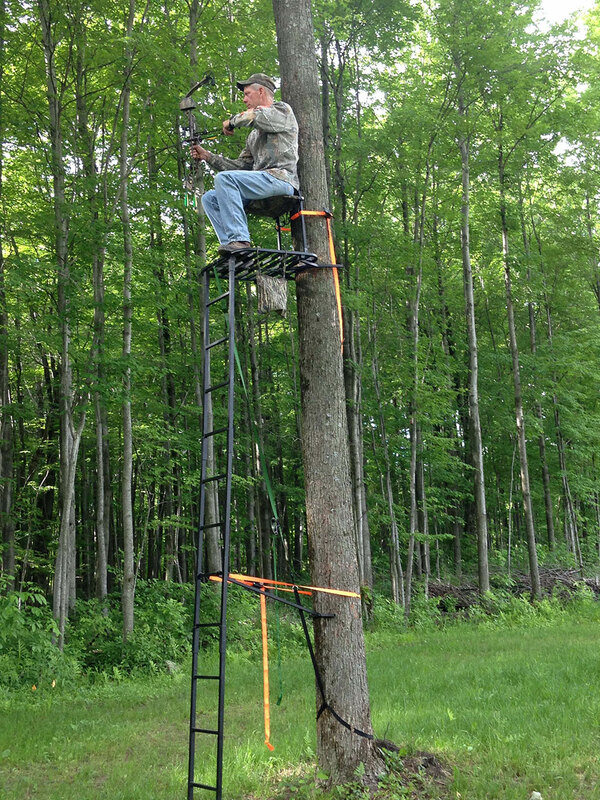 It's worth its weight on gold! 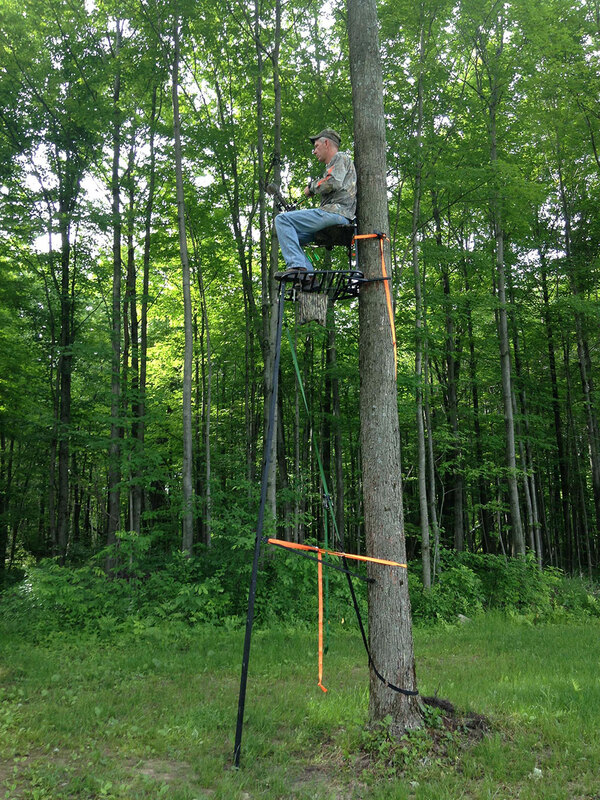 The platform is 24" by 28". 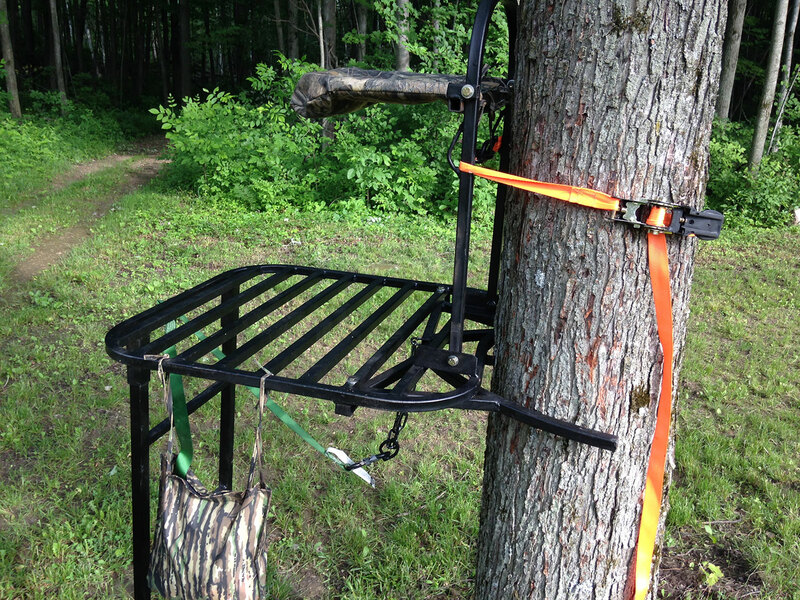 Stands come with 3 ratchet straps and 1 choke strap, safety pins, and a pouch to put them in, that attaches to the platform. 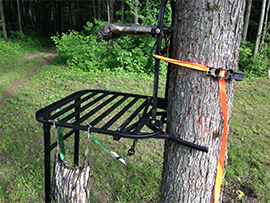 The stand attaches to trees 6" to 26" in diameter. Painted black. Always read the warning labels.